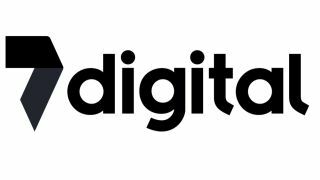 7digital is to be the official music download provider for RIM's upcoming BlackBerry 10 OS. It means that BlackBerry 10 users will be able to browse and buy MP3s directly from the BlackBerry App World, making it a one-stop-digital-shop. Populating a special music section of the App World, you'll be able to buy and download over 22 million tracks, including new releases, best sellers, localised picks based on country and music from independent artists. The idea, it seems, is to bake the music platform directly into the OS, so it goes beyond BBM Music or a standalone music player app. Still, you can expect a bunch of social-minded elements to the music store with RIM's release hinting at social recommendations playing a bit role. The two companies have worked closely together in the past, with 7digital currently the music maker behind BlackBerry smartphones and the BlackBerry PlayBook. The first BlackBerry 10 handsets should be hitting the shop shelves in the first three months of 2013.